Governor Andrew M. Cuomo today announced that the Federal Emergency Management Agency has approved $47.8 million in funding to strengthen 20 bridges that cross water and are vulnerable to foundation erosion in New York State. The funding is available through FEMA’s Hazard Mitigation Grant Program, which aims to increase resiliency, reduce hardship and mitigate the risks of loss and damage from natural disasters. 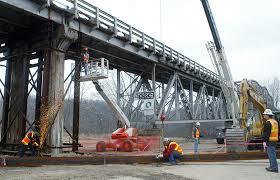 Governor Cuomo has requested a total of $518 million in Federal funding to strengthen 105 bridges across the State. The bridges could be subject to scour, which erodes foundation materials, such as sand and rocks, from around and beneath bridge abutments, piers, foundations and embankments. Upgrading these bridges will help protect critical transportation routes across the State, ensuring access to emergency services during and after flood events and reducing the risk of flooding where bridge openings cause rivers and streams to back up. In June 2013, Governor Cuomo announced a call for projects to be funded by the hazard mitigation program to help rebuild stronger, more sustainable communities. The applications continue to be reviewed by FEMA and the State awaits their expeditious approval. The bridge scour program is the product of an unprecedented collaboration between the State’s Department of Transportation, Division of Homeland Security and Emergency Services, Governor’s Office of Storm Recovery, and dozens of local governments, and puts New York State at the cutting edge of innovative flood recovery and mitigation activities. The bridge scour program will be paid for with a mix of funding from FEMA and the U.S. Department of Housing and Urban Development. No state funding will be required. The Department of Transportation has identified 105 bridges as scour-critical, which are those most at risk from repeated flooding. All of the bridges included in this program of upgrades and retrofits were built to the codes and standards of their time and remain safe and open for everyday traffic. However, due to a variety of natural severe weather events and the increasing frequency of major storms and floods, they are vulnerable to scour caused by the intensity and velocity of water from extreme natural events. FEMA’s grant approval enables the Department of Transportation to contract for the bridge improvement work, including upgrading concrete bridge abutments by adding steel or concrete pile foundations, increasing the size of waterway openings to meet 100-year flood projections and reducing or eliminating the number of bridge piers in the water to prevent ice jams that can flood surrounding areas.